Welcome to TNbusinessbrokers (TNbb) of East Tennessee where we bring BUYERS and SELLERS together utilizing over fifteen years of local experience, knowledge and expertise to value, market and sell your business while protecting your privacy through our confidential sales process. TNbb ensures that an experienced business broker will be handling your transaction under strict confidentially. We discreetly find sellers and connect them with qualified buyers. 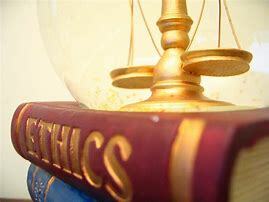 We sell businesses with a stringent code of ethics. TNbb believes in proactive involvement, locating sellers and buyers providing total confidentially. We are a full service business brokerage firm specializing in the sale and acquisition of small to medium size businesses. More then 95% of all businesses in the United States fall into the small to medium category and they represent the propelling force that fuels our economy. We are dedicated to providing professional and confidential services to business sellers and business buyers. We are certified by the Business Broker Training Center, (BBTC) with over 800 affiliate brokers nationally and supported by an extensive network of experienced service providers and experts to meet your needs. TNbb is located in Knoxville, TN and provides brokerage service throughout East Tennessee. (Knoxville, Tri-Cities Area, Chattanooga and Crossville, TN plus S.E. Kentucky, Western N. Carolina and N.W Georgia). Mattress sales business located in Knoxville Tennessee. Established with revenues of 1.5 million and cash flow of $246,884. With the business is an inventory in the 100-thousand-dollar range plus two box trucks for deliveries valued over 20 thousand dollars combined, a 24-footer and 18-footer. Listing and selling businesses in a confidential manner. Qualifying buyers and finding them businesses for sale. 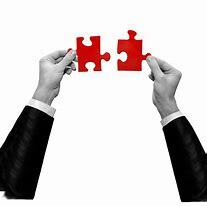 Assisting in financing for existing businesses and buyers. If you are contemplating the sale of your business or the purchase of a business in the Knoxville or East Tennessee market, you need to contact the professionals at TNbb. Visit our SELLERS or BUYERS page to fill out the no obligation profile or Contact Us by phone or e-mail.